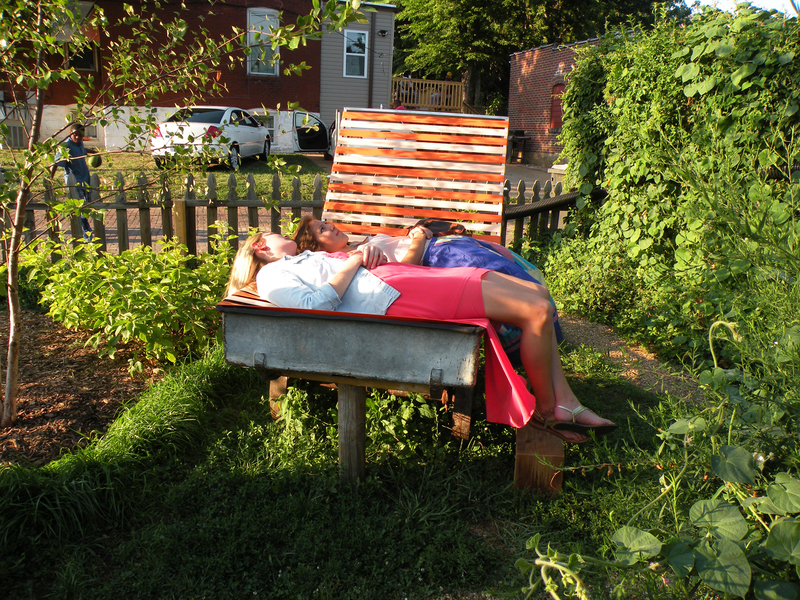 Oversized lawn chairs and a series of rain garden beds create a habitat where absorption and finding one’s angle of repose are quests shared by people and water. This is a landscape of playful paradoxes. 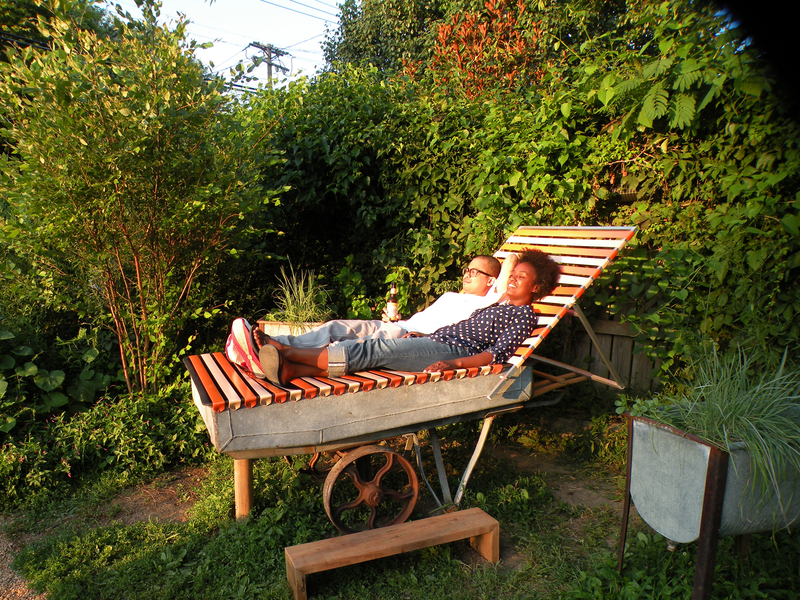 Experience a river’s edge by Cherokee Street, sleep on star-like light clusters, and recline on an island to be alone and together at the same time. 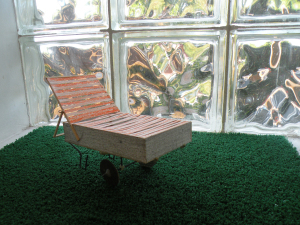 Made with adapted historic carts, the chairs sit on elevated ground surrounded by recessed beds. The vinyl strapping creates a kind of suspended hammock effect. While the backrests are adjustable, they require the person sitting to ask help from another person to physically move them. Therefore while the person sitting can feel independent, they also are encouraged to express a desire and vulnerability in their consciousness of dependence on others. 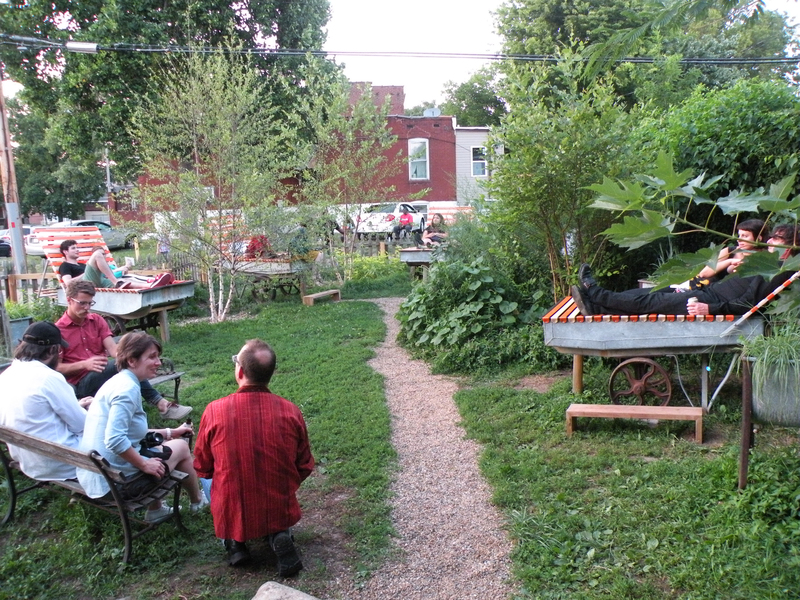 The garden and dog park acts as a social and spatial link between the interiorgalleries of fort gondo compound for the arts and the adjoining neighborhood. 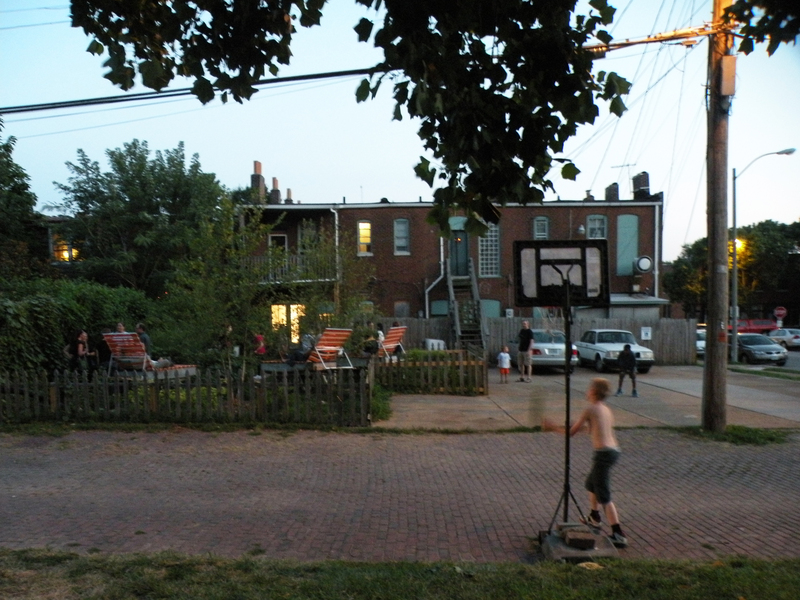 Since the space faces the alley and houses behind Cherokee Street, its permeability facilitates casual interactions with people passing by or living in the area who use the alley for various purposes such as a basketball court or pedestrian bypass. 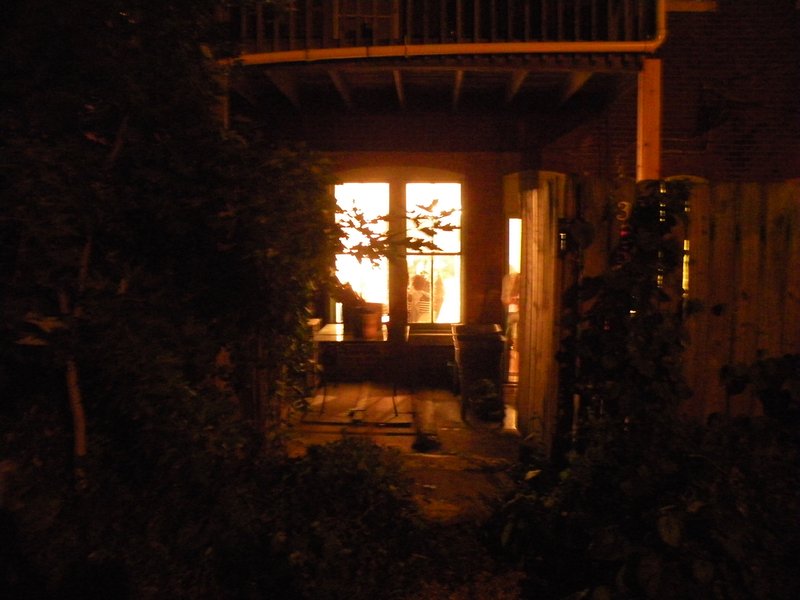 While building the space, neighbors were engaged in the garden progress. They asked questions and offered suggestions related to the process of harvesting of rainwater. 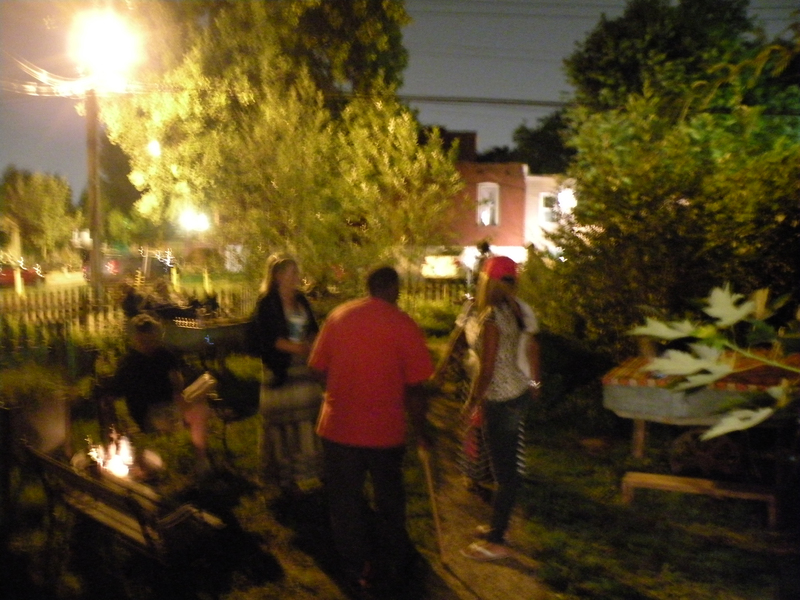 Neighborhood construction projects and the happenings of the arts organization were also topics of conversation. 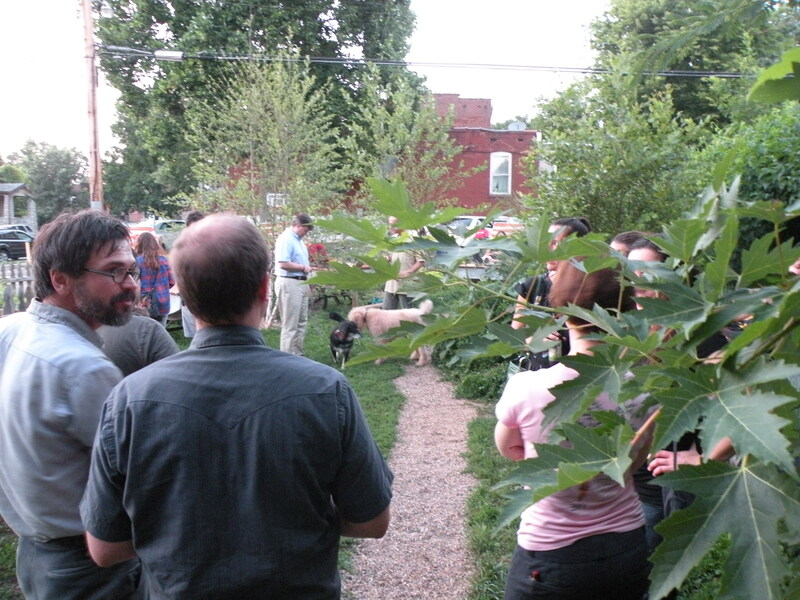 Various neighbors attended the garden opening as well as following art events. 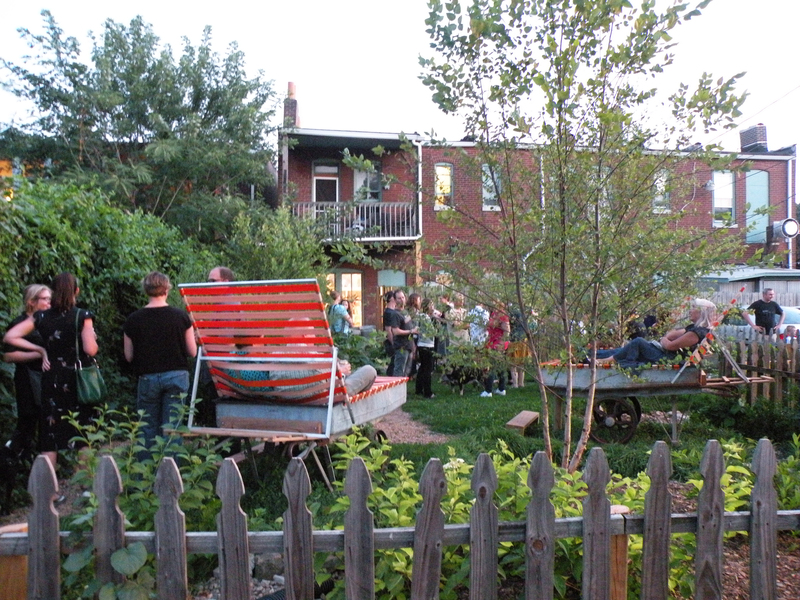 These exchanges are examples of the potential positive impact of community based design projects where informal interactions can lead to building local relationships. 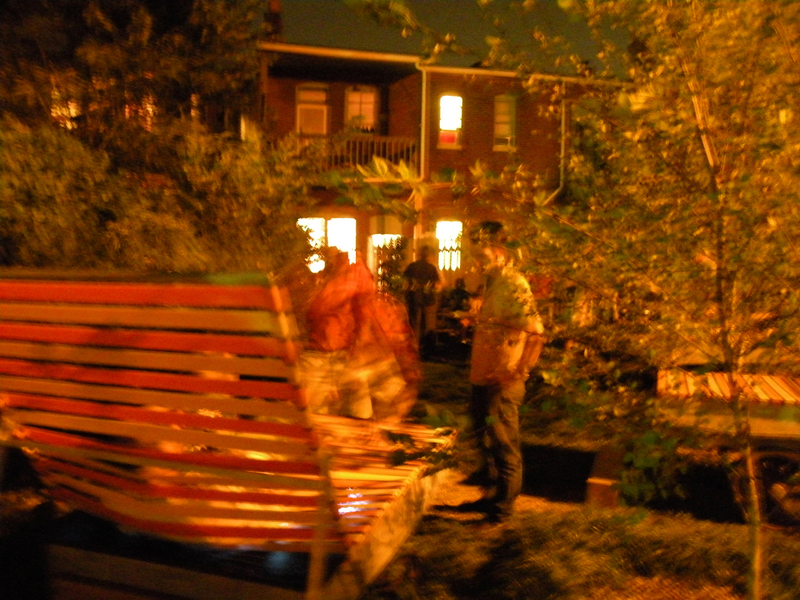 Moving forward, fort gondo plans to hold readings, projections and other art related activities in the garden space. This expands programmatic possibilities for the organization while also contributing to the local environmental ecological health of the area. 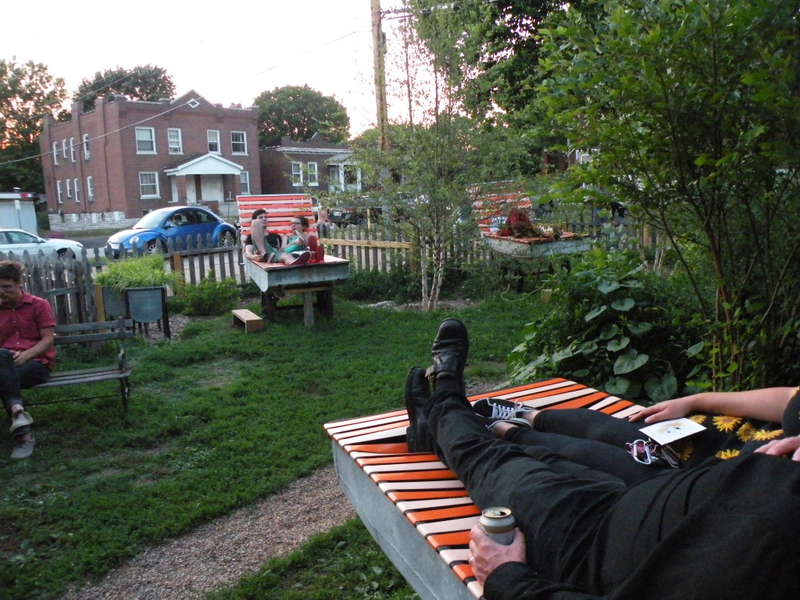 In addition to the four lounge chairs that are fixed, flexible temporary seating may also be added in the garden and adjoining parking lot for larger crowds.